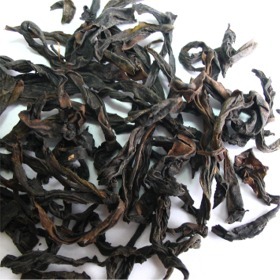 Shi Ru Xiang Oolong Tea is a another cultivar of Wu Yi mountain rock tea. Shi Ru Xiang Oolong Tea name means that this special tea has the fragrance of minerals and rocks from the wuyi mountain cliffs. Or rather known as the Yan or rock flavor. The soil in this area is rich with minerals from the erosion of the mountains. Shi Ru Xiang Oolong Tea is another famous traditional wuyi oolong tea. Organically grown. Smooth, full bodied, sweet lingering aftertaste.